Today is my first day back in the real world after my trip to Costume College - I haven't been to CoCo for so long that many parts felt new even as much of it was comfortingly familiar. I'm looking through pictures, posting to my instagram, and trying to figure out how to get my costume blogging mojo back. 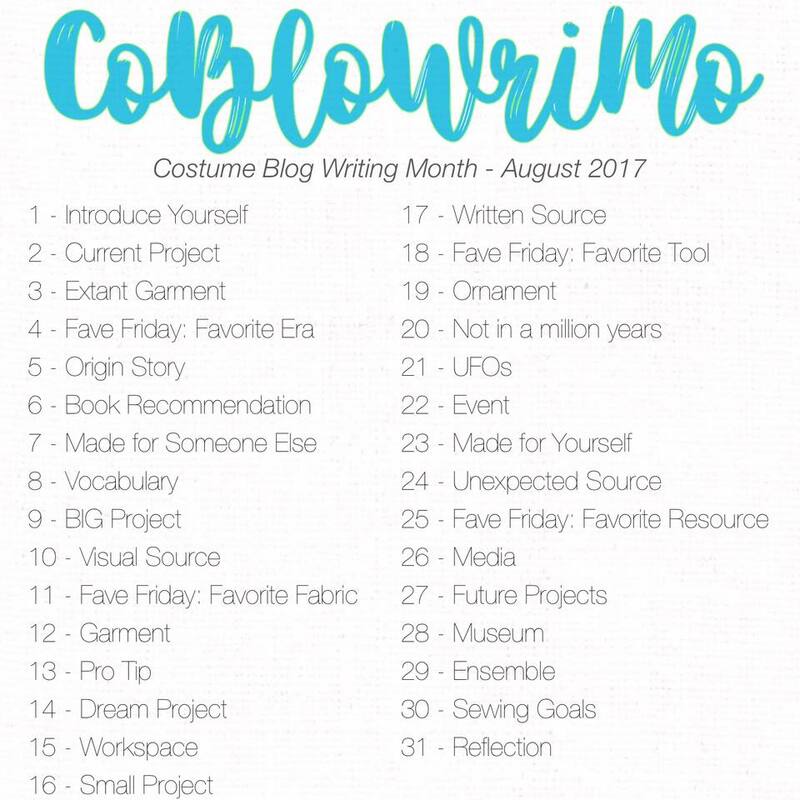 Must be fate that I discovered that today is the first day of Costume Blog Writing Month! Apparently I am introducing myself today, which I have just now realized I don't think I ever did on this blog! 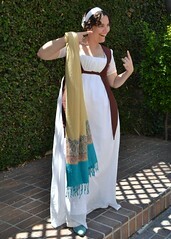 I like costumes and sewing (obvious), and I sometimes even finish things. I'm also frequently ridiculous, often sarcastic, rarely punctual, and never satisfied with my level of knowledge/skill. 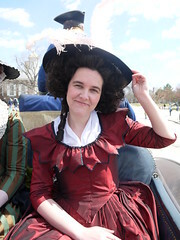 I've been costuming since 2002, posting about it online since 2005, and throwing up the horns in pictures since I don't know when. It's a thing I do. 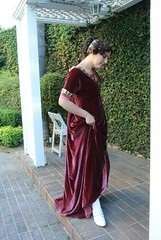 My favorite eras are 1770's-1800ish and the 1850's and 60's. I want to love bustle era but I just can't! There are many eras I would like to try so here's hoping I can get it together enough to try them before I die. Lord knows I won't ever run out of fabric. In real life, I work in education, have two kids (one teenage boy and one grade school girl), and live in Utah. So there you go! See you tomorrow for an update on what I'm working on.